Anna Hansen's glorious salad is bursting with flavour and texture. Wedges of roasted golden beetroot add earthy notes, while pickled greengages add a tartness. 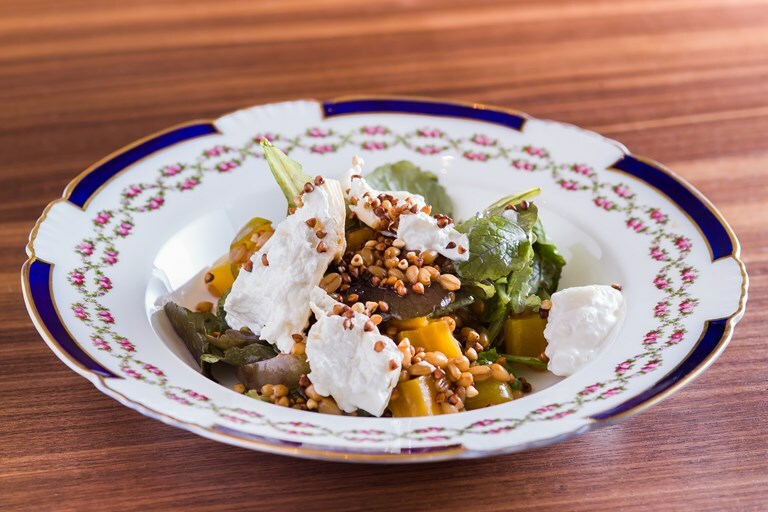 Both spelt and buckwheat add a nuttiness and crunch to the creamy texture of the smoked burrata, which is finished off with an unusual verjuice (or verjus), yuzu and argan oil dressing.